Whenever Kennis from Itch to Stitch posts a tester call I rarely have to think for long about whether I'm going to apply - I know with Kennis' designs the fit is always perfect for me (helped by the fact that many of her patterns have cup sizes - big bonus!!) - but she's always really on trend and stylish too. When I saw the tester call for the latest pattern, the Giverny Dress, I don't think I even stopped to breath before I'd filled in and submitted the application form!! Such beautiful and classic details - I knew I needed to make this dress. 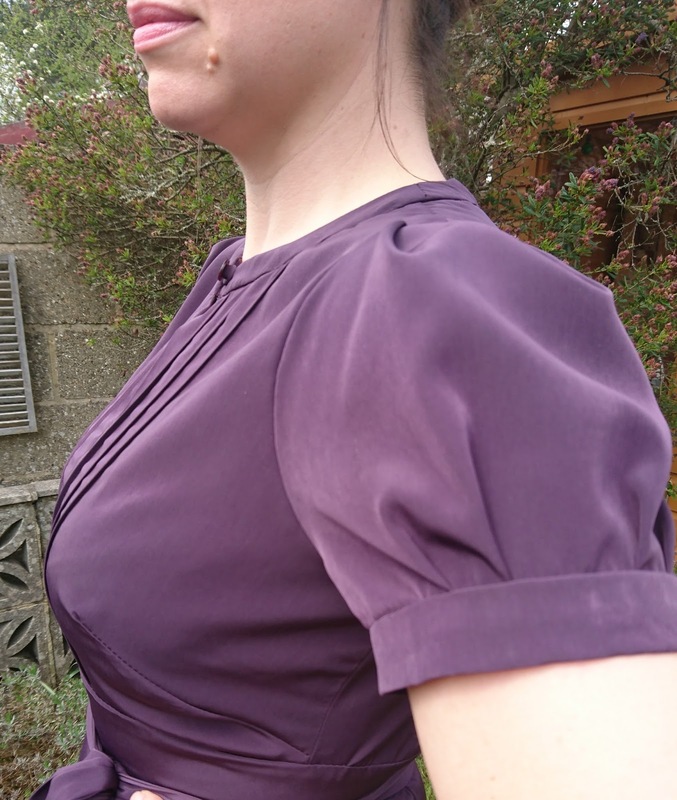 As I mentioned before, the pattern comes with cup sizes (A-DD) and the finished garment measurements are given, which I find always makes it much easier to get a great fit first time. 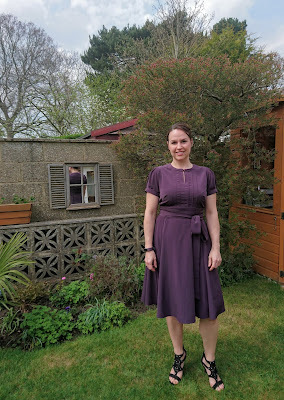 There are options for either a short sleeve (as I have on my version) or a 3/4 length sleeve, but have the pretty pleat details. 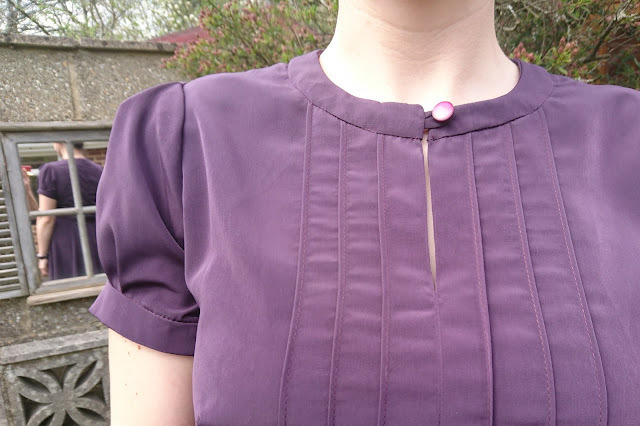 The front bodice has a slit at the neck with a button closure, and some pretty pintucks. The dress is completely lined, so the insides are as beautiful as the out sides! This also means you can get away with using nice light fabrics, without having to worry about see-through issues! I used crepe de chine for my dress, which is lovely to work with - it's the perfect balance between having a good drape, but it's also nice and stable, so much easier to work with than a silk or satin. 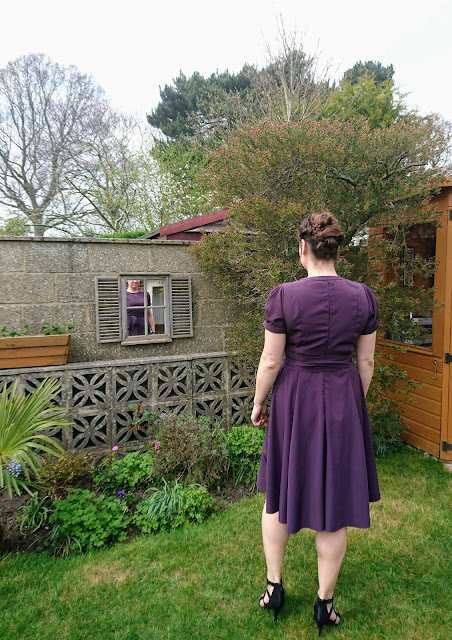 The dress has an invisible zip at the back with princess seams for a nice fit and the skirt is made up of seven panels, so it's lovely and full and flowy. The waistband is curved for a flattering fit and there is an optional sash to tie round your waist for a bit of extra cinch! 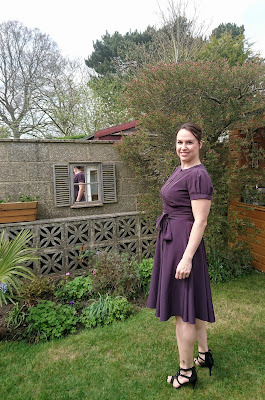 Oh - I nearly forgot to mention - the dress also has pockets! Always a winner for me! They are in seam pockets, but they're cleverly anchored to the waistband so they don't drag the skirt seam down when you pop anything in them. 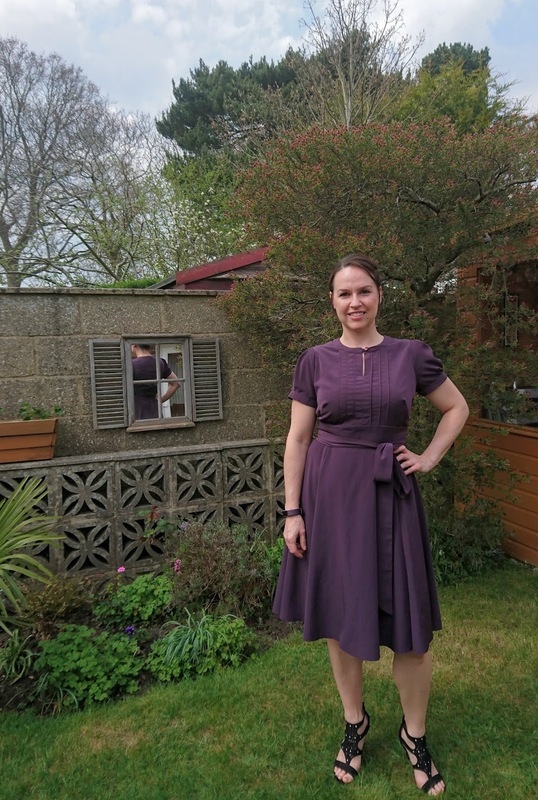 So all in all, I'd say this dress is a massive winner - stylish, flattering and practical - YAY! 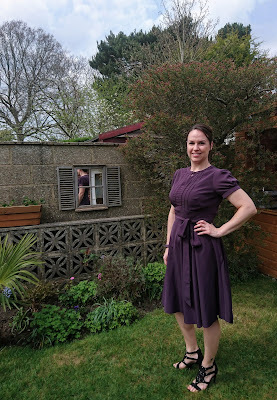 Because of all the pretty details and the additional fabric cutting for the lining pieces, this isn't a super quick make - but sometimes things are worth a little extra time and effort - and this is definitely one of those things! That is so gorgeous, very chic looking. I love the lines on the bodice and the shape of the sleeves. Te colour is divine and lovely photo showing the beautiful flowing back of dress skirt.